The SOS Children’s Villages community has suffered a second, tragic loss as a result of the Ebola virus. Monrovia medical center was closed for one week as precaution; closest co-workers remain under observation. The SOS Children’s Villages community has suffered a second, tragic loss as a result of the Ebola virus. Kebbeh Zawu, a registered nurse, who worked at the SOS Medical Center in Monrovia, the Liberian capital hard hit by the Ebola outbreak, died on 13 September. She contracted the deadly virus while attending to her sick brother-in-law, in his home. Both died. Ms Zawu’s death came as a severe shock to co-workers at the SOS Medical Center and SOS Children’s Villages Liberia. “The death of Kebbeh Zawu was a serious blow to all of us. This was an unexpected tragic situation for the Medical Center, for SOS Children's Villages and for her family,” said George Kordahi, National Director of SOS Children’s Villages Liberia. The SOS Medical Center management were not informed that Ms Zawu was caring for a sick relative with symptoms of Ebola. She continued to report to work until she herself fell ill. Thanks to the strict Personal Protective Equipment (PPE) dress code at the SOS Medical Center, however, it does not appear that co-workers or Medical Centre patients were affected. “We have taken all necessary steps to protect our staff as long as they are on duty within the facility. During all the meetings and trainings we conducted, we cautioned the health workers not to render services within the communities, as the risk of doing it unprotected would place them at great risk,” Mr Kordahi said. As soon as Ms Zawu’s condition became known to SOS Medical Center management, extreme precautionary measures were put in place. Five staff members who had had close contact with Ms Zawu were placed on an Ebola symptoms observation list for 21 days and were asked to remain home until the quarantine period ends. None has shown signs of the illness so far. Additionally, the SOS Medical Center was closed for one week so the entire building could be fumigated. A complete closure was deemed necessary to ensure a thorough disinfection, and also because there had been a steep rise in the number of patients showing Ebola symptoms in past weeks. The SOS Medical Center reopened on 24 September. "We treat hundreds of people in a week. There is no telling how many people we could not help during this time," said Quendi Appleton, a nurse and administrator for the SOS Medical Center. "Many people currently die from malaria or appendix ruptures because so many hospitals in Monrovia are closed. Fortunately, the SOS clinic is now open again." The SOS Medical Center in Monrovia is one of the few medical facilities in the country that is still open and treating patients for all emergencies and medical needs besides Ebola virus. It is the only medical clinic in Monrovia that is operating 24 hours per day. 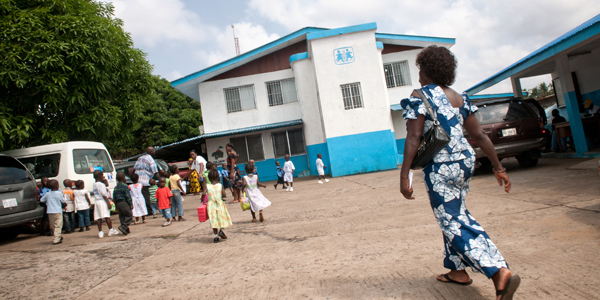 Ms Zawu was the second Ebola victim in the ranks of SOS Children's Villages Liberia. Last month, an SOS mother, who was infected while visiting relatives, contracted the virus and died. The children and co-workers in her SOS Children's Village were not endangered, as she did not return to the village after she became infected. The SOS children in Liberia are currently prohibited from leaving village premises. SOS Children's Villages employees who do not need to leave village premises have also been prohibited from leaving them. Schools in Liberia have been closed for weeks.